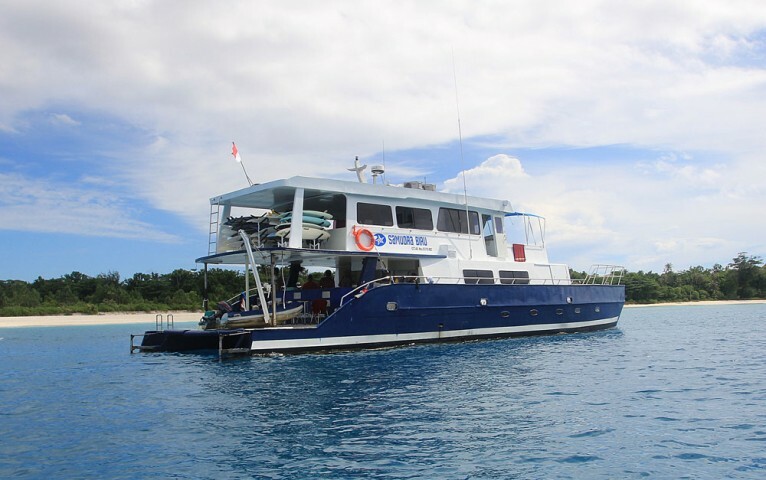 “Samudra Biru” means “Blue Ocean” and is one of the nicest catamarans operating in the Mentawai Islands. With its hyperlight design and a draft of only 3 feet, this boat, powered by twin 420hp Cummins diesel engines, is one of the fastest surf charter vessels plying these wave-rich waters. She has a top speed of 15 knots, with an average daytime cruising speed of 10-12 knots depending on conditions, and a nighttime cruising speed of 8-10 knots (for safety). 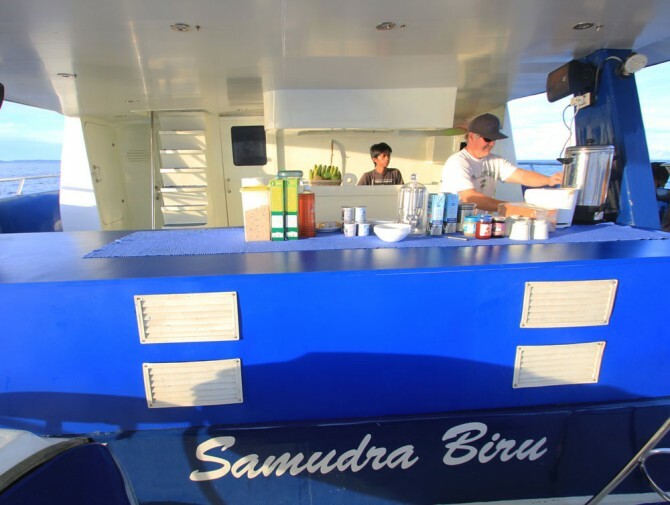 Samudra Biru's catamaran hull design provides stability at sea and eliminates rock and roll at anchor. Ten sleeping berths including two double cabins. 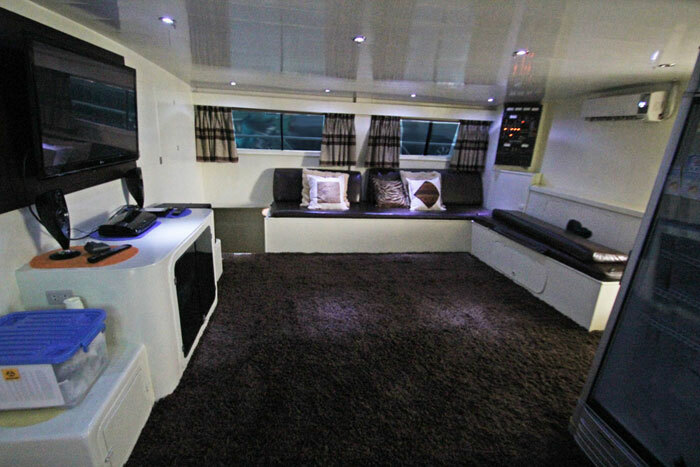 All berths offer full seating headroom and windows to the outside. Samudra Biru's speed provides its guests with a tactical advantage in being able to minimize travel time and maximize surfing time throughout the trip, enjoying surf at the lesser-known remote and isolated locations. Samudra Biru has a range of 1000nm and does not require refueling in the course of a trip even with significant motoring around at its fastest speeds throughout the Mentawais chain. 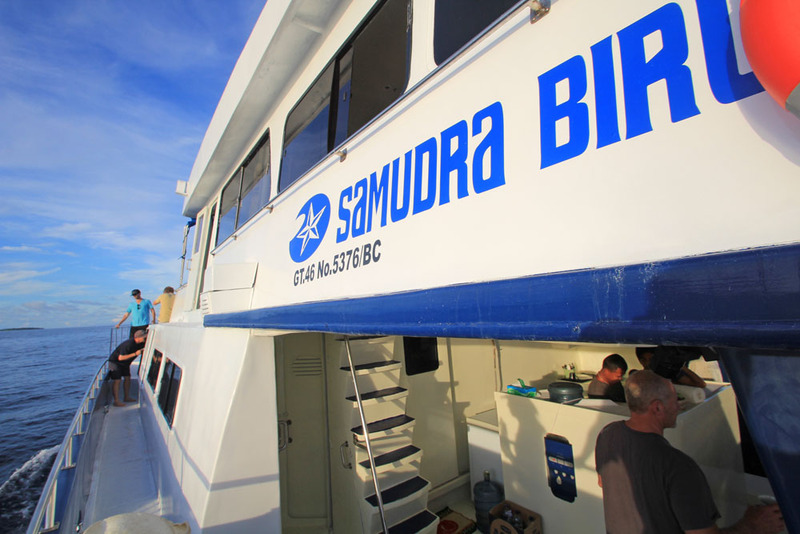 Samudra Biru is equipped with an array of safety and navigational equipment including GPS, radar, depth sounder and VHF radio. The “Biru” has a Satellite phone onboard and remains in constant communication with the Stateside partners for regular swell and wind updates provided by Surfline.com & Lola and Buoy Weather.com. Samudra Biru offers accommodations for up to ten surfers and is fully air-conditioned and carpeted throughout her interior. Her large size and comfort assures you of getting killer surf while traveling in style.